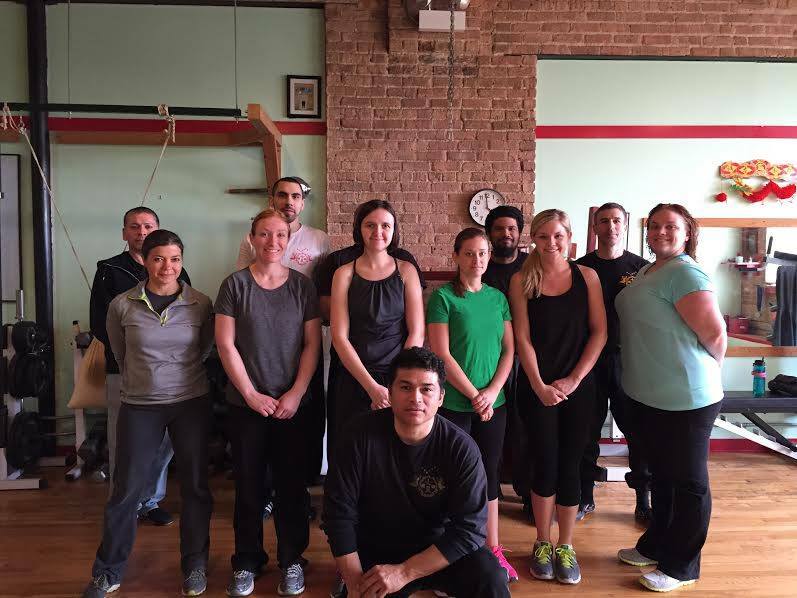 Last weekend was the women’s self defense seminar at my Kung Fu school, Chinese Martial Arts & Wellness Center near Roscoe Village Chicago. It occurred both on Saturday and Sunday for a total of 6 hours, 3 hours each day from 1 to 4pm. As a student of the school, I brought some friends who I knew would be interested in learning some self defense techniques despite not wanting to practice kung fu on the regular. I attended the seminar with them for several reasons and I greatly enjoyed the seminar. This blog post is a review of the seminar. How to avoid being grabbed and counter attack when someone tries to grab you from as they’re approaching you head on. How to take someone down if they do end up grabbing you by twisting their arm and applying pressure with your shoulder. How to block a slap or punch, jab the throat and knee the attacker in the groin. For every technique, the defense was quick and powerful with the idea of running away right after executing the defense techniques. We learned another kick: to kick with our heels. We practiced this on the pads with the “attackers” moving towards us in order to get the timing down. How to counter if someone grabs our hair from behind, and how to counter if they grab our hair while facing us, from the front. How to counter if someone grabs us from behind with a quick jab to the liver and how to sweep our leg back as we push them forward to make them fall on their face. How to use keys as a weapon in case something sneaks up on you as you’re trying to unlock your door. The last 30 minutes of the seminar was a very interesting discussion with Chicago Police Officer Leo who informed us of our rights regarding defending ourselves and gave us very helpful tips regarding safety in and around Chicago. Sifu Yamel announced that there will be monthly Women’s Self Defense Seminars held at the school. I urge all of my female friends in and around Chicago to attend the seminar to learn a few key moves and techniques you can use in case of a situation where you have to fight for your life/happiness. How do you feel about self-defense? What do you do to stay in shape and prepare yourself for the worse case scenario?